Gray & Pape is presenting at the 2019 SAAs! Nathan Scholl – Tuners Falls Gorge Geoarchaeological Investigations: Modeling Landscape and Archaeological Developments within the Connecticut River Valley. Session Title: Archaeological Science Outside the Ivory Tower: Perspective from Cultural Resource Management, Thursday, 2:45 PM. Kimberly Smith – The Western Gateway: Identification and Recommendation of the Hoosac Tunnel National Register Historic District. Session title: Symposium Changes in the Land: Archaeological Data from the Northeast, Friday, 3:30 PM (Session sponsored by Gray & Pape Heritage Management; Power Engineers). W. Kevin Pape – Electrical Generation and Cultural Heritage Stewardship on the Banks of the Ohio River: a Section 106 Success Story! Session Title: The National Historic Preservation Act Works! Examples of Section 106 Successes, Saturday, 8:00 AM. Ashley Huntley – Assessing Our Impact: An Examination of the Role of Historic Preservation in the Gentrification of Urban Centers in the Midwestern United States. 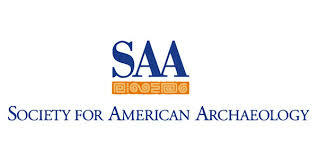 Session Title: New Tools and Strategies for Advancing Heritage Management, Sunday, 9:30 AM.